Alfred Place office rental is situated in a lively area and is surrounded by superb local amenities. Transport for the location is excellent with tube, train and bus networks all close by. The Business Centre offers a wide range of office space sizes that a fully furnished and are suitable for either small, medium or large companies. 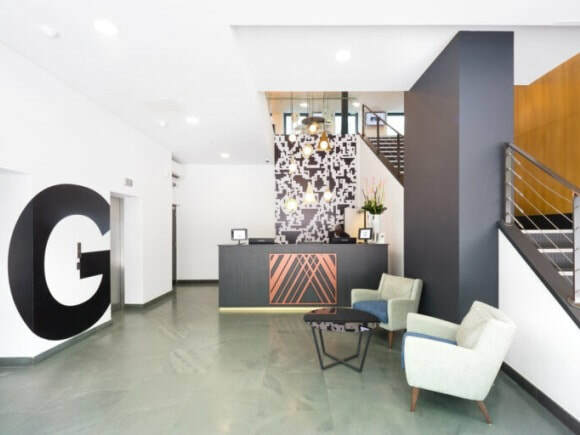 With internet and telephone lines ready for connectivity, these serviced offices for let can be set up immediately and are ready to move into at short notice if required. The building also has a number of features at the site including a staffed reception to welcome visitors and meeting rooms to hire as and when needed. There is also a large cafeteria area to have lunch breaks in and an outside courtyard to take a breath of fresh air.